An outfit that fits into the budget, fits the event's dress code, and most importantly, fits perfectly, is every girl’s dream. Furthermore, with all the latest trends it is so confusing what to wear and what not to wear. This is a problem that many plus size women face every day. So today we present to you 6 amazing outfits which will flatter your body and accentuate those curves! Don’t let your casual days take a break from fashion. 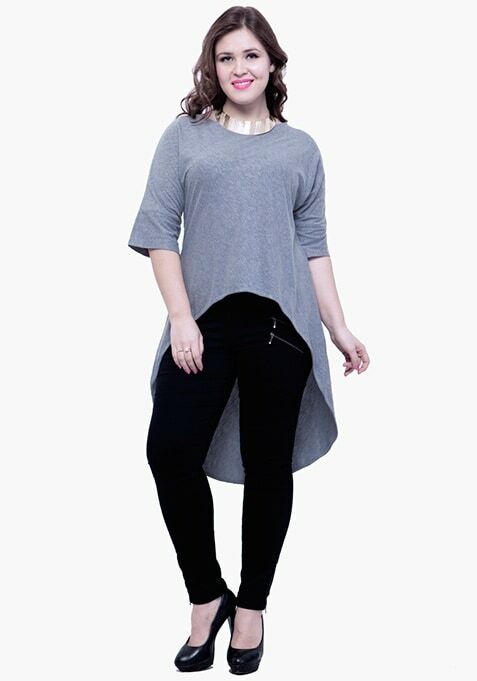 Keep it super casual yet SUPER chic with this amazing longline tunic top. Looks killer casual chic paired with denim cutoffs and gladiator sandals. Maxi dresses are the most versatile pieces that a woman can own. A maxi is always easy; breezy for casual wear and equally easy to dress up for a party. 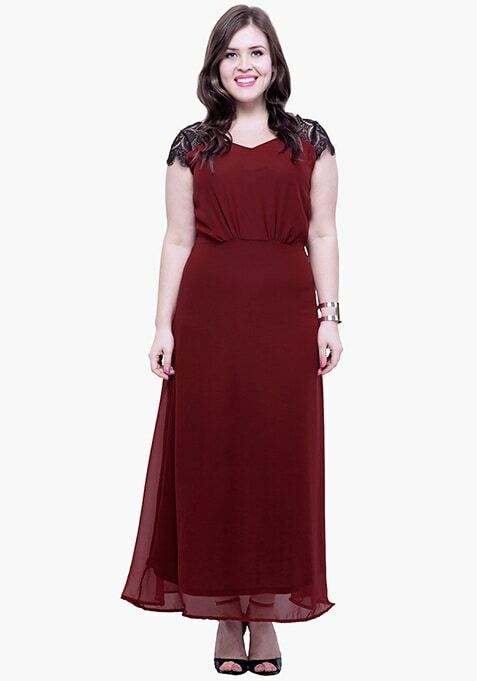 This lace trace maxi dress is apt for a casual brunch or an evening out with friends. Pair it with high heels and a gold cuff for a stylish ensemble. Who doesn’t love florals! 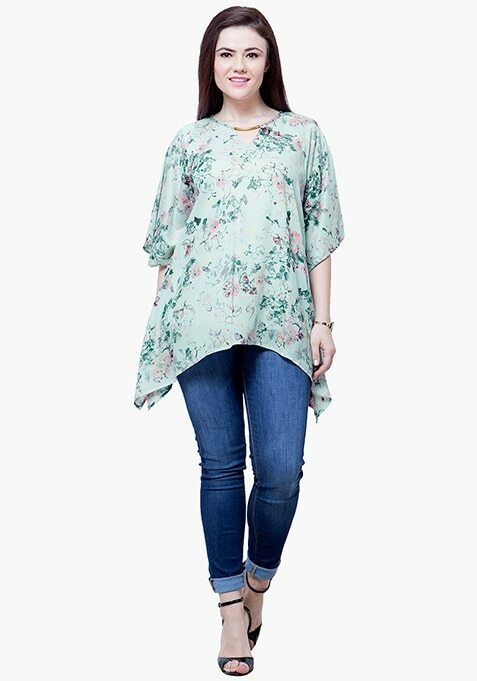 This floral kaftan top is a perfect add-on to your daily wear wardrobe. Team it with a pair of denims or jeggings, and pumps for a stylish off-duty day. Get it pronto! A skater dress is a great way to skim your curves in the most flattering way. Get your hand on this pretty butterfly print dress which is quick to put on and easy to dress up or down. Style it with peep-toes and a clutch for a versatile look. Build a perfect boho chic look with this Aztec maxi skirt. Wear it with a crop top and bohemian accessories. For maximum effect braid your hair and add some hair accessories. Perfect fix for some fun time with your girl gang. No more office blues! 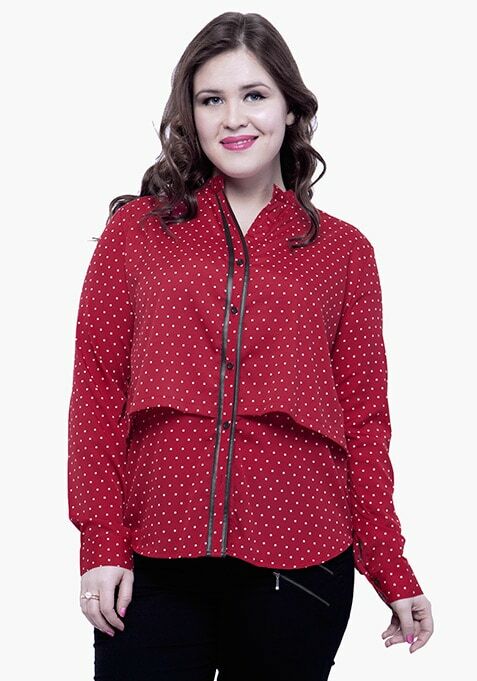 Get your 9 to 5 fashion on-point with this layered shirt with polka print and leather panels. Pair it with tailored trousers and court shoes for an uber-chic work look.